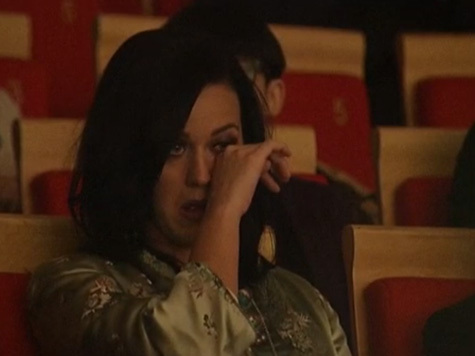 After performing at the Infinti Brand Festival last Saturday in Beijing, pop sensation Katy Perry stopped in for a visit with the China National Orchestra, which surprised her with an orchestrated version of her mega-hit Roar, that moved her to tears. In the interview below, Perry explains that the piece solidified her love of music, hearing it in its purest form. The singer was presented with a Xun, a traditional Chinese flute-like instrument. Perry, in turn, presented the CNO with an autographed acoustic guitar and a copy of her album PRISM. Watch the China National Orchestra’s entire performance of Roar. Somewhere in her itinerary, the flexible pop singer found time to do the splits on theGreat Wall of China. The photo below was posted to her instagram account.